As you know, I teach French naturally through stories. My learners experience story asking and story listening, they truly enjoy it and they memorize French vocabulary effortlessly and permanently. Needless to say, I am always on the look for interesting reads about how stories impact learners. The other day, I stumbled upon this fascinating article about the science of storytelling which scientifically explains how stories impact the human brain. ” If we listen to a powerpoint presentation with boring bullet points, a certain part in the brain gets activated. Scientists call this Broca’s area and Wernicke’s area. Overall, it hits our language processing parts in the brain, where we decode words into meaning. And that’s it, nothing else happens. Here is a story inspired by a children’s book. If you are at a beginner level and you are looking for comprehensible stories, children books are a great way to start because the sentences and words generally repeat themselves throughout the story and there are pictures to support comprehension. Children’s books are funny and cute, they are compelling! This story is about a little boy who only wants to eat ” des frites ” (= fries) but his parents are obviously not so happy about it! Do you prefer les frites ou la pizza ? Make sure to leave a comment below this post or on Youtube. That is the Question! Some people say that potato fries were born on a bridge in Paris but some other believe they were born in Namur, South of Belgium and that they therefore belong to Belgium! It is true that the Belgian love their fries. They eat them as a meal with some sauce whereas we (the French) always eat them with something such as steak, le steak frites. We would not eat them alone unless we are Ch’tis which means we come from the North of France, next to Belgium! The Belgian and the French from the North of France usually go to une friterie or une baraque à frites to eat their fries on the go. Find out more about the difference between la frite française et la frite belge in this article from the French newspaper Le Point. It is for more advanced level but have a go at reading it and see how much you can understand. You can then use Google Translate Web to check your comprehension. 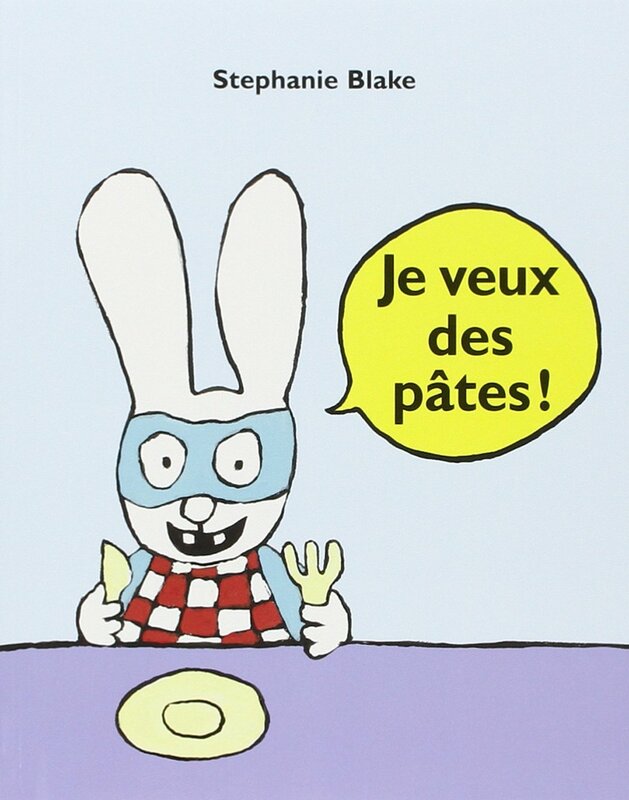 Je veux des pâtes, the book! Did you like my story about Nicolas who wants to eat fries (French or Belgian?)? It is inspired by a children’s book from the author Stephanie Blake. Listen to Christelle S reading the story aloud on Vimeo (By the way I am on Vimeo too now!). The story is told in the past but fear not, you will understand it for sure! Practice the vocabulary from the story with the help of flashcards on Quizlet. That’s it for now! I hope you enjoyed your dose of French input. See you next week for more stories! < French the natural way: a quirky story!